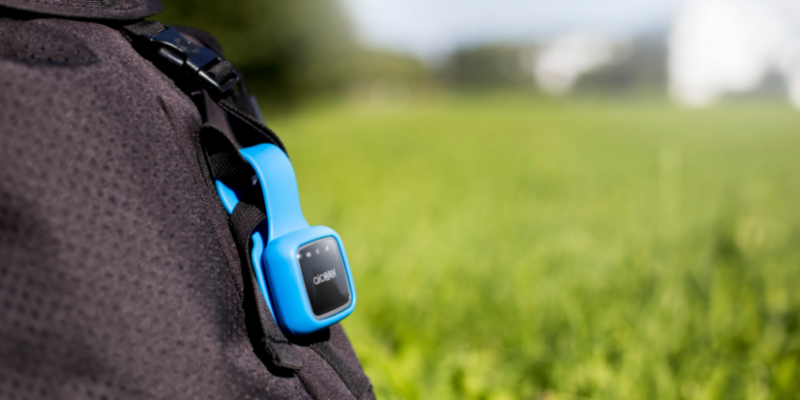 Vodafone has followed O2 by getting into the smart-technology space, with four new devices designed to keep track of your most treasured possessions and your pets. All four devices use a Vodafone Sim (V-Sim) to create a data signal you can keep track of, which means they don’t need to be connected to wi-fi or Bluetooth. The catch is that you need to pay a monthly fee for the connection, on top of the cost of the device. It’s only available to existing Vodafone customers for now, too. Does the peace of mind of being able to keep track of your car, pet or bag justify the cost? Top smart hubs for 2017 – the best hubs for controlling all your smart devices. The V-Auto is the only one of the four devices to be designed by Vodafone. The mobile provider has partnered with different manufacturers for the other three. It looks like a Scart socket, and plugs into your car’s OBD (on-board diagnostics) port – you can usually find this around your dashboard. It keeps a record of all your car journeys and shares them with the V-Auto app, so you can see what routes you’ve taken and how long they took. It sends a driver-safety score to the smartphone app after every journey. You can share scores with other people using the V-Auto app, which Vodafone says will promote safer driving. If the car it’s installed in is ever involved in a collision, the Auto SOS feature means someone from Vodafone will contact you to see if you need help. They can send help to the car’s location if needs be, but it will only work if the car is somewhere covered by Vodafone’s network, and it won’t work abroad. The ‘find my car’ feature will show you where your car is on the V-Auto app – handy if you can’t remember where you’ve parked, or your car’s been stolen. The V-Auto device works with most cars made after 2003, and there’s a tool on Vodafone’s website that lets you check if yours is compatible. Visit our dash cam and sat nav reviews to see our top-rated car tech. The V-Bag works in much the same way as the V-Auto, but it lets you keep track of your bag. 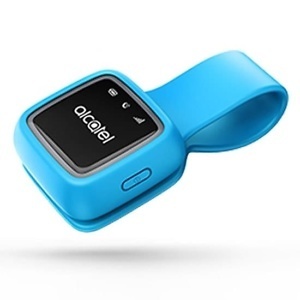 Vodafone calls it the V-Bag, but it’s actually an Alcatel Movetrack. The V-Sim creates a GPS signal so you know where your bag is at all times, as long as it’s within Vodafone’s network coverage. Battery life is up to four days, according to Vodafone, and the device is water and dust-resistant. As well as seeing the up-to-date location of your bag, you can also set safe zones. This could be the immediate area around your home or work, for example, and if the bag ever leaves that area you will get an alert. It’s designed to be clipped to a bag with the plastic strap, but there doesn’t appear to be anything stopping you attaching this to anything you want to keep tabs on. A missing pet can be extremely upsetting. Often your cat will come trotting back into the living room as if nothing happened but, if your cat or dog is prone to wandering, a V-Pet could ease your worries. 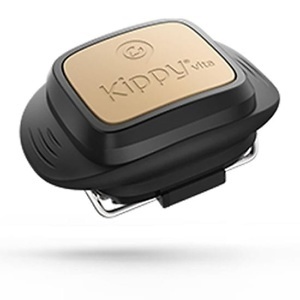 It clips on to the collar of your furry loved ones, and shows their GPS location on the Kitty Vita app. As with the V-Bag, you can set up a safe zone, so you’ll get an alert if your pet wanders too far. As well as tracking location, the V-Pet tracks your pet’s activity, too. The app can show how much exercise they’re getting, and even how many calories they’re consuming. It will also send tips to improve your pet’s health. You probably shouldn’t strap one of these Best Buy fitness trackers to your pet, but they will help you ace your next workout. 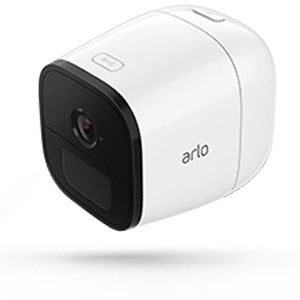 The V-Camera is actually the Arlo Go – a completely wireless security camera than runs off batteries and has a rating of IP65, which means it’s dustproof and can survive a spot of rain. 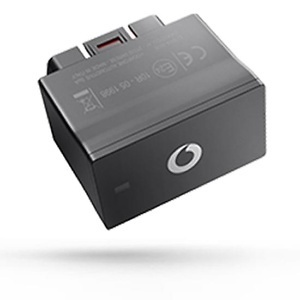 As with the devices above, the V-Sim means you don’t need wi-fi or Bluetooth, so you can put this camera wherever you like, as long as it’s within Vodafone’s network coverage. The Go records in 720p resolution, which isn’t as good as Full HD, but should still look fine when you watch the footage back on the Arlo app. You can zoom with the camera, too, and it has a night-vision mode. Supposedly, the battery lasts a full month on a single charge, and any footage will be saved in the cloud for up to seven days. You can view your footage on the companion smartphone app. We haven’t reviewed this waterproof model, but you can see what we thought of the indoor model in our Netgear Arlo review. You own the devices once you’ve bought them. But without the ongoing data plan they are all but useless, which isn’t great considering the high cost of these devices – the camera in particular. A data plan is necessary for the V-Auto, V-Bag and V-Pet, since they’re portable and you can’t guarantee a wi-fi signal when you’re out of the house. But it would be good if the £339 camera could access wi-fi in the same way as most other wireless security cameras. You will only need the data plan if you want to keep an eye on somewhere out of wi-fi range and, since most people use a wireless security camera to monitor their home, the lack of a wi-fi connection isn’t likely to be an issue. It’s not a fixed-term contract, at least. You can pause it at any time, and reactivate it when you need to use the devices.